March is Women’s History Month in the United States, a time to remember and acknowledge women innovators, trailblazers, and steadfast collaborators who have made contributions to improve the world and environment. One key element you’ll find within every woman who has challenged themselves and the world around them is creativity. 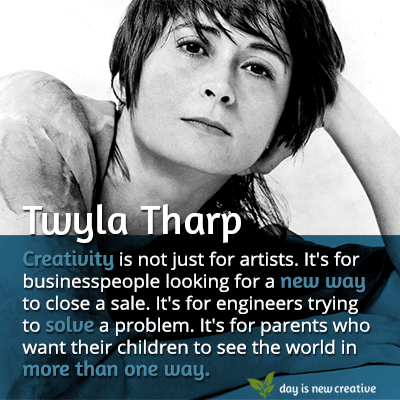 Twyla Tharp, a renowned dancer, choreographer and author, has written several books about the creative process. This particular quote reminds us that creativity is something we find and reach for in ordinary moments. It is a valuable tool that grows and expands the more we utilize it. A commission is an invitation to fall in love. I don’t think that scheduling is uncreative. I think that structure is required for creativity. I’ve always found it necessity to strip away everything but the most fundamental ways to work – the rest is style. To make real change, you have to be well anchored – not only in the belief that it can be done, but also in some pretty real ways about who you are and what you can do.